This section explains how to register on Windows 7. 1Connect a removable USB storage media to the PC with EDIUS installed. 2Click [Start] to display the start menu, and click [All Programs] → [Grass Valley] → [GV LicenseManager]. 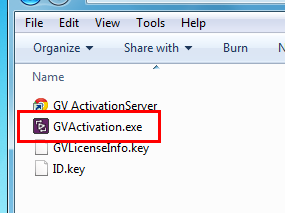 The [GV LicenseManager] starts up and the [License List] dialog box appears. 3Click [Offline Activation Create ID File]. 4Enter the serial number of EDIUS, and click [OK]. 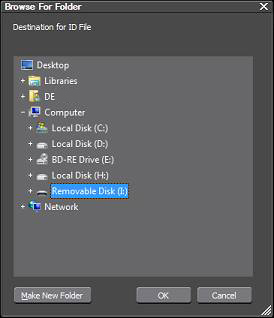 5Specify the removable USB storage media for the save destination of the activation ID file in the [Browse For Folder] dialog box, and click [OK]. 7Remove the USB storage media from the PC and connect it to the online PC. 8Open the USB storage media in Explorer, and double-click GVActivation.exe. 11Remove the USB storage media from the PC, connect it to the PC with EDIUS installed, and start up GV LicenseManager. 12Click [Offline Activation Register Activation File]. 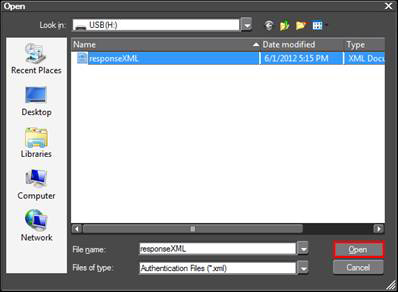 13Open the USB storage media, specify response.xml, and click [Open]. 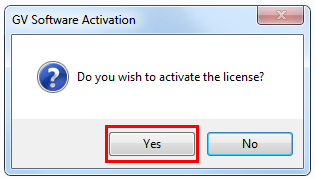 15Check that the registered EDIUS is displayed in the [License List] dialog box and exit GV LicenseManager. More information about serial registrations (offline) is released on the Grass Valley Web site.